On the heels of the Academy Award-winning film Lincoln, which is based on her renowned biography Team of Rivals, Pulitzer Prize-winning historian Doris Kearns Goodwin will present “Team of Rivals: The Leadership Lessons from Abraham Lincoln,” at Whitworth University’s fall President’s Leadership Forum. The lecture will be held on Tuesday, Oct. 15, at 7:30 a.m., at the Spokane Convention Center. Costs for this event are $40 per person, or $400 for a corporate table. Breakfast is included. RSVP by registering online at www.whitworth.edu/leadershipforum. Goodwin is the author of award-winning biographies on four U.S. presidents to date, including Team of Rivals: The Political Genius of Abraham Lincoln (2005), a multiple biography of Lincoln and four others he united to lead the U.S. through its greatest crisis. 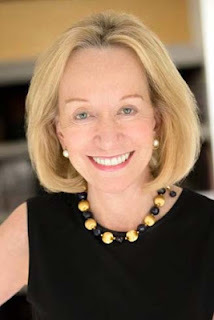 Goodwin’s other presidential works are the Pulitzer Prize-winning No Ordinary Time: Franklin and Eleanor Roosevelt: The Home Front in World War II (1994); The Fitzgeralds and the Kennedys: An American Saga (1987), which in 1990 was made into an ABC miniseries; and her debut book, Lyndon Johnson and the American Dream (1976). She is at work on a new book about the progressive era, with an emphasis on Theodore Roosevelt, William Taft and the golden age of journalism. Goodwin worked as an assistant to Lyndon B. Johnson during the last year of his presidency, and she later assisted him in preparing his memoirs. Her many television credits include appearances on MSNBC’s Meet the Press, The Daily Show with Jon Stewart, and The Colbert Report; in addition to serving as an on-air consultant for documentaries by PBS and The History Channel. Whitworth’s inaugural President’s Leadership Forum, held Oct. 16, 2012, featured Pulitzer Prize-winning political columnist George F. Will. Executive partners for this event are Avista Utilities, Vandervert Construction, Greater Spokane Incorporated, Viren and Associates, and Moss Adams LLP. Sponsorship opportunities are available. Michelle Drennen, assistant director of development – advancement events, Whitworth University, (509) 777-4974or iaevents@whitworth.edu.